That's why the team at FreshSpoke launched the Local Food Champion Program. So retailers and food service providers like you, who are committed to quality local food, have a powerful tool to build strong and trusted connections with your customers. We promised you food traceability and The Local Food Champion Program does just that. Using the mobile App, anyone can authenticate the sources of your supply. The Local Food Champion Program is exclusively for wholesale buyers on FreshSpoke and provides complementary incentive through increased order quantity. The more you spend on FreshSpokes online marketplace, the more you save. Now that's a win-win! Create your account on FreshSpoke. Download the FreshSpoke App for IOS and Android. 5. Go for the gold! 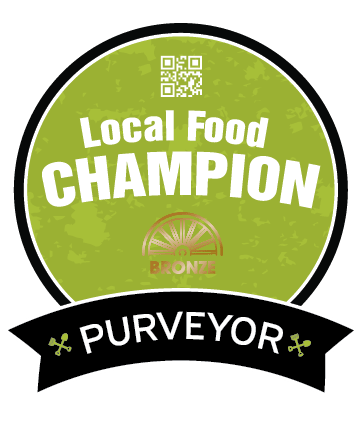 Your first order on FreshSpoke gets you started with BRONZE status in the Local Food Champion program, including access to an online file repository containing marketing materials you can use to promote your business as a Local Food Champ. When your procurement reaches $75,000/year through the FreshSpoke marketplace, you will reach SILVER status which comes with 0.02% cash back on the total annualized purchase (before delivery fees & taxes). When your procurement reaches $125,000/year or more on the FreshSpoke marketplace, you will reach GOLD status which comes with 0.03% cash back on the total annualized purchase (before delivery fees & taxes). 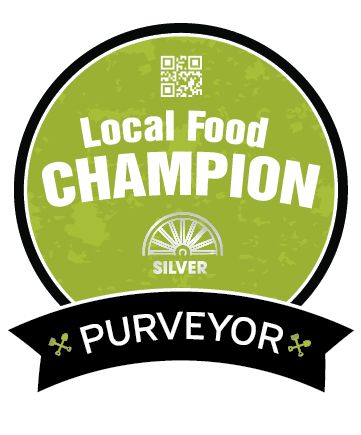 As part of the Local Food Champion program, your business is featured on the Local Food Champion app for free, attracting a highly engaged cohort of consumers with incredible buying power and a preference for quality food produced closer to home. Make local food part of your marketing story with exclusive access to the Local Food Champion file repository. Here you will find everything you need for on-shelf advertising, menus as well as your web and social media channels.